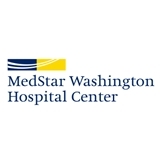 MedStar Washington Hospital Center Urology (Mitchellville) - Book Appointment Online! Dr Venkatesan showed polite mannerism and seemed knowledgeable. He explained things in a way I could understand and went over steps he wanted to take in diagnosing my problem. I was skeptical about making the appointment - glad I did. This is my first ZocDoc eval. I thought Dr. Hwang and his staff were great; courteous, friendly, efficient. I thought that Dr Chang was very through in his examination process.